Home Alone is definitely a timeless holiday movie. When we want a good laugh (or we’re simply feeling nostalgic), it’s the perfect movie to turn on. With the burglars Marve and Harry, as well as Kevin McCallister’s eldest brother Buzz and Uncle Frank, there are quite a few villains in the classic film. However, according to Redditt user drewgarr there might have been one villain in the film that we’ve overlooked for the past 25 years. If you recall, Kevin’s mom Kate McCallister is desperately trying to get back to Chicago from Paris. Since it’s the holidays, she’s unable to get a direct flight back and she’s bounced around from city to city. At one point, she’s so frustrated that she declares that she would sell her soul to the devil himself, if it got her home to Kevin. 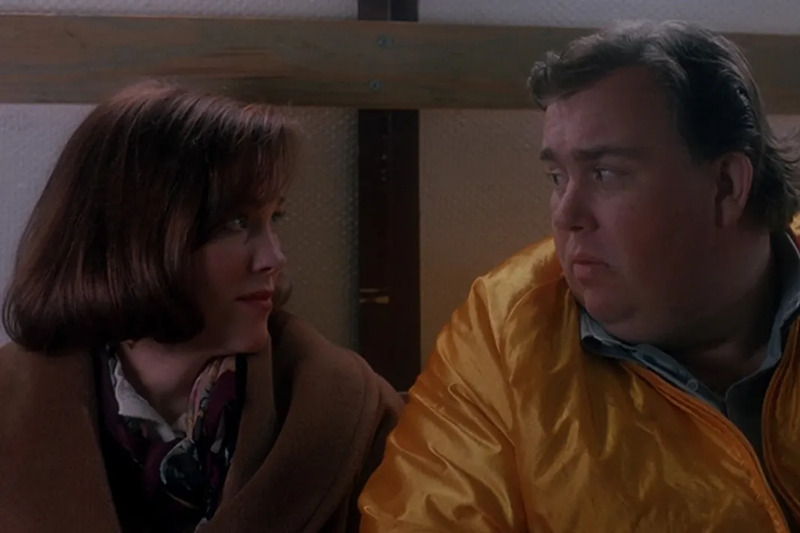 Shortly thereafter, John Candy‘s character Gus Polinski aka The Polka King of the Midwest, appears out of nowhere. . According to grewgarr, The Polka King is actually a “crossroads demon”. According to legend, these demons make deals with humans in order to secure their souls in Hell. Not only does this particular scene take place in a place of crossroads, the airport, but the Devil apparently also has a fondness for wood instruments. Therefore when Gus and his crew are playing their instruments in the van on their way to Chicago, he’s not just passing the time, he’s actually celebrating his new acquisition; Kate’s soul. We know all of this sounds insane, especially since John Candy was basically a human teddy bear, however further evidence might suggest that this theory has some merit. Polanski introduces himself to Kate by saying, “Please allow me to introduce myself”. The Rolling Stones classic, “Sympathy For the Devil” opens the same way. Also in an earlier John Hughes film starring Candy and Steve Martin; Planes, Trains and Automobiles, Candy’s character is actually depicted as the devil. If you still remain unconvinced, remember that the devil’s greatest trick is convincing others that he doesn’t exist. All of this is a bit more advanced and sinister than the Wet Bandits’ saga and definitely sheds new light on a classic holiday tale. Get In The Holiday Spirit Early With ABC Family’s "25 Days Of Christmas"